Air pollution continues to be a major problem, especially in urban areas of the United States. Therefore, it would be nice to be informed if there are invisible toxins in the air. The Scarab from Dallas startup Amulet Corp is a multi-sensor, wearable sensor device that does exactly that. 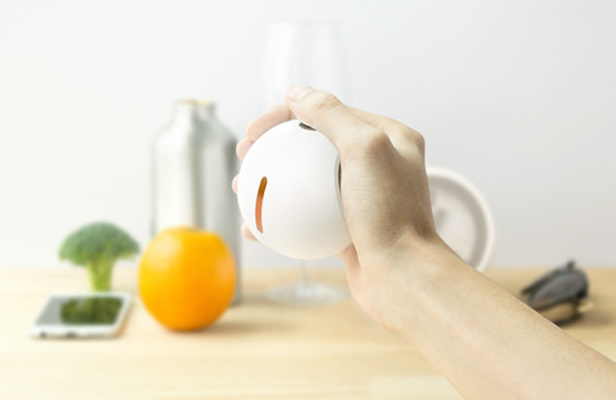 The small, oval device can detect more than 16 invisible threats in the air, including ozone, magnetic fields and nitrogen dioxide. It comes in a choice of white or black, and can be easily clipped to everyday items such as backpacks, baby strollers, belts and purses. Scarab’s 16 on-board sensors continuously monitor the environment and communicate local conditions and hidden dangers to the user’s smartphone via Bluetooth LE. An accompanying app can be downloaded for Android and iOS devices. Backers who pledge $129 will get a “benchmark” version of Scarab in matte black or glossy white when it ships in August. Backers who pledge $175 will get a “premium” SKU of the device styled as a Scarab amulet etched with an Egyptian-style Scarab beetle logo. Its maker is hoping to raise $100,000 on Kickstarter. The device holds promise. But its application stands to appeal to a much narrower consumer base than wearables that track fitness. Yet Scarab still faces potential competition from wearable environmental trackers like the TZOA. If consumers don’t already have a carbon monoxide detector in their homes, the device could become a life saver. Also potentially useful are its noise level detection circuit (especially if the user lives in an urban area) and UV index sensor (especially if the user is planning to spend a few hours at the beach).